There are some official documents that just need care and high-density machine to handle. If not, you will compromise on their quality. This has an impact on the overall outlook of your business which may be disastrous as far as business growth is concerned. This is a machine of this category that handles duplex printing to save on time and cost of paper. Moreover, in just a single paper pass, it can also scan both sides of the paper. In addition, it can copy, print, scan, and even fax. 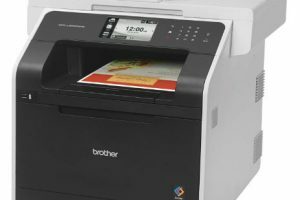 Such a multifunction machine runs on flexible wireless connectivity to make sure you can directly print from your mobile devices (laptops, tablets, and smartphones) without connecting to the computer. The wireless, Ethernet and USB connection is a value-added function to all you connect the printer to many computers within a network. The 4.85-inch touch screen is a complete monitor itself. For example, you can scan and share the soft copy output directly to various web pages which include Email, servers among other cloud service tools. The maximum capacity of the input tray is 50 papers while the output tray is 250. With its automatic paper feeder, you are sure all you need is to program the functions and you are free to handle other office duties without paying much attention to the office equipment. 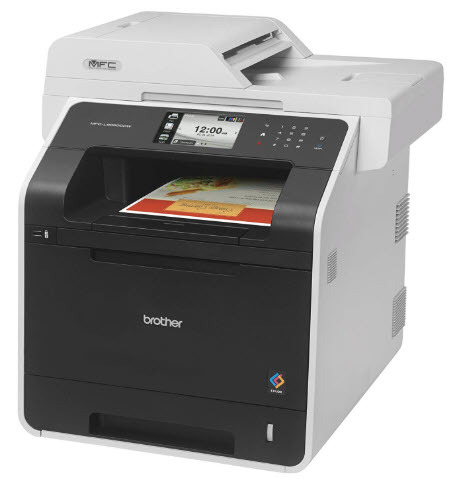 Brother MFC-L8850CDW Printer Driver is licensed as freeware for PC or laptop with Windows 32 bit and 64 bit operating system. It is in printers category and is available to all software users as a free download.